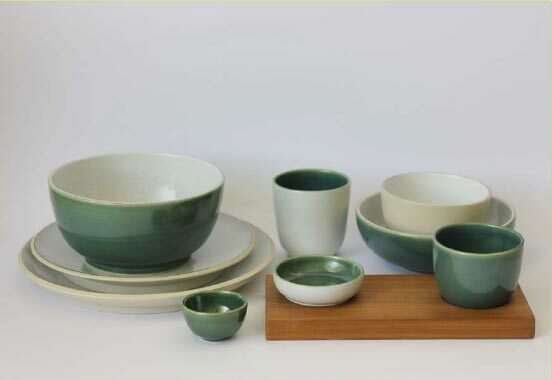 The unique combination of banana leaf green gloss with earthy stone and sand finish creates a whole new look for our Tapas dish collection. This range is chosen by Chef Chris Salans for his restaurant in Ubud called Spice..
Spice is based on the philosophy of masterfully showcasing fresh Indonesian ingredients and flavours with each dish based on a highlighted fresh local ingredient. The space itself takes inspiration from the hustle and bustle of traditional local markets and has been carefully designed to accentuate the feeling of contemporary Bali in all its vibrancy.